Sports challenge many people. For 24-year-old Jacob Robertson, sports presented just another obstacle he has had to overcome. 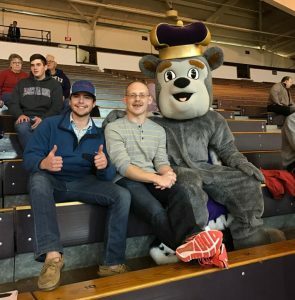 Although diagnosed with cerebral palsy, sensory processing disorder, and coordination movement disorder, among other things, Jacob has been playing sports throughout his life. There were not a lot of opportunities when Jacob was young due to the competitiveness of many teams. His mother, Lorri Robertson, states, “A lot of teams play too rough because they are in it to win.” It was hard for him to play on this type of team and in that kind of environment, but Jacob still continued playing sports. He found a couple of coaches that didn’t care if they won or lost, allowing him to play one year of baseball and one year of basketball. 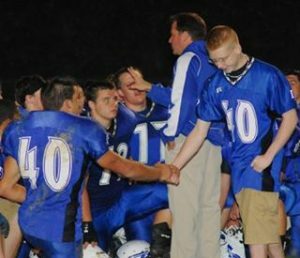 Jacob served as the manager of the Fort Defiance High School football team. He went to all of the games and formed a very close bond with all of the football players and the coach. They loved being around Jacob and he loved being around them. 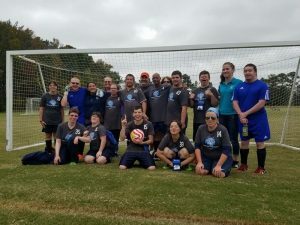 About four years ago, Jacob also found Special Olympics, and it was one of the first times that he really got to play on a team. With Special Olympics, Jacob also discovered his love for soccer, his favorite sport. After spending a year as a field player, Jacob now serves as a goalkeeper. One day Jacob blocked a goal from going in and got hurt while doing so. As people were running onto the field to check on him, he got up and started waving his arms and saying, “Not in my house! It’s not happening! Not in my house!” Being a goalkeeper is especially difficult for Jacob because he doesn’t have the depth perception that other people do. He still pursues it because he loves the position. As Lorri sees it, Jacob “has to work extra hard to know when the ball is coming and how to block it, but he just goes all out.” His team has placed in the state tournament every year he has played, and every year he just tries to keep getting better. Jacob is also involved in the summer LEAP (Leisure Experiences for Active People) program run by Wilson Workforce and Rehabilitation Center. During a day full of outdoor fun, he gets to do one of his favorite activities, scuba diving. This was never a possibility or an option for Jacob before LEAP. It is something completely different than he is used to doing, and he loves wearing the equipment and going under water.